It is a question that has puzzled first time car buyers for nearly a century: how do you get approved for a loan without credit history and how do you establish credit history if no one will approve you for a loan? At Oxmoor Chrysler Dodge Jeep Ram, we understand your frustration. 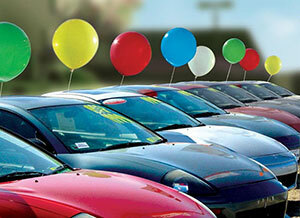 Finding a car dealership in Louisville KY that offers no credit car loans to new buyers can be a difficult task. That’s why we do our best to make each vehicle purchase experience as simple and stress-free as possible. With Oxmoor CDJR, there’s no need to wander from dealership to dealership, filling out long, confusing applications. You can avoid repeating your story to an endless number of finance managers and salesmen without getting anywhere. Our highly trained team of financial experts understand the challenges auto buyers face and are experienced in helping them achieve their goals. No matter if you have bad credit, no credit, or this is your first time buying a vehicle, Oxmoor CDJR can help you find the perfect car, truck, or SUV at terms you can afford. Some first time car buyers worry that their lack of credit will limit their options or force them to purchase a vehicle they do not want. Just because you have no credit doesn’t mean you have no choice. At Oxmoor Chrysler Dodge Jeep Ram, we believe that every customer deserves the chance to own the vehicle of their dreams. As part of one of the Oxmoor Auto Group, we have access to one of the largest collections of cars, trucks, and SUVs in the state of Kentucky. Whether you’re looking for new vehicles or used vehicles, we have options to satisfy every need. Looking for a low mileage work truck? How about a sporty convertible? Perhaps you’re searching for a fun, stylish coupe? Or a gas-sipping sedan? No matter what type of vehicle you want, we have it covered. Remember: a limited credit history doesn’t necessarily mean limited choices. Simply let us know the type of vehicle you want and your estimated budget and we will do our very best to make it happen. We want you to be completely satisfied with the entire process – from the vehicle you choose, to the terms you receive, to the customer service we provide. From time to time, some individuals may experience difficulty obtaining approval for an auto loan on their own. This can be due to a variety of factors, but is most often associated with insufficient income, limited job time, or minor derogatory credit issues. In these situations, some lenders may require a down payment or a co-signer. Co-signers or “co–buyers” are individuals that typically possess stronger credit and income than the borrower. Being a co-signer means agreeing to take equal responsibility for the borrower’s auto loan. As such, co-borrowers are often close friends or family members. If you have someone willing to be a co-signer, encourage them to submit an application for auto financing on our secure website and our finance team will begin reviewing their information immediately. If you’ve spent any time shopping for cars in Louisville, KY, you may have seen advertisements touting no credit car loans with no co-signer or no money down. While such scenarios are certainly possible, many lenders insist that no credit car buyers make a personal investment in the loan process. Having down payment money not only strengthens your chances of being approved, it has the added benefit of lowering your monthly payment. If you do not have money for a down payment, having a co-signer becomes even more important. Strong co-buyers allow no credit car buyers to achieve substantially better terms on a wide range of vehicles. 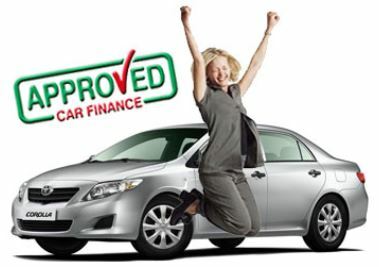 Once you are approved for a loan and a series of consistent payments have been made, you may elect to either refinance your current loan or upgrade to a newer vehicle. At OxmoorChrysler Dodge Jeep Ram, we believe that every person deserves a chance to own the vehicle of their dreams. Having a limited credit history should not hinder your ability to own a quality vehicle at affordable terms. No matter if you’re a recent college graduate just starting out or you’re recently discharged from a bankruptcy and starting over, don’t let your lack of credit history keep you from achieving your goals. Contact Oxmoor CDJR today or schedule a test drive – see why we’re Louisville, KY’s top destination for new car buyers.